I say it year after year, and here I am saying it again... I love fall!! Everything about this time of year just screams coziness and comfort. 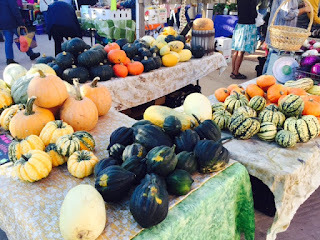 The morning air is cool and crisp, the aspen leaves are decorating the mountains with their yellow hues, green chile is out in full force at the Santa Fe farmers market, and I have officially traded out my bikinis and sundresses for boots and scarves. I made it up to the mountains for the first time this season to witness the beginning of the changing leaves. It was a gorgeous day for a trail run! 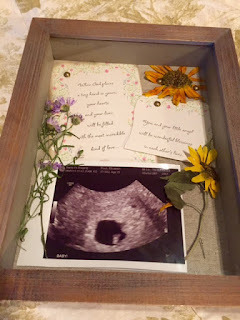 I'm not usually one to write about personal experiences on social media, but with one in four pregnancies ending in miscarriage, women need to support one another and have the freedom to tell their stories so that others may find comfort and solace knowing that they are not alone. Issues regarding women's health, reproduction, and healing need not be taboo, despite our tendency to be a culture of silence around uncomfortable topics. There are a lot of misconceptions about miscarriage that can lead women to depression, guilt and anxiety; but through talking openly and courageously about our experiences, we can build a community and comfort each other through the ups and downs. This past Sunday we competed in the "My Way or the Tri Way" sprint triathlon in Aurora, Colorado. With over 600 participants, this was a fairly big race, and the best aspect of event is the opportunity to choose your race order (Swim-Bike-Run, Bike-Swim-Run, etc.). I opted for the same order I raced last year -- starting with the run because my legs are fresh, followed by the bike, and ending with the swim, which gives me the opportunity to be in the open water when it's less congested. If I'm being completely honest, I wasn't really looking forward to this race leading up to it. This was my last triathlon of the season, and I really didn't train a lot since my most recent race. Our community center pool has been closed and the afternoons have been hot when I've tried to run. I approached this race like it was just a fun workout, surrounded by other athletes who would help me push myself, and not a serious competition.